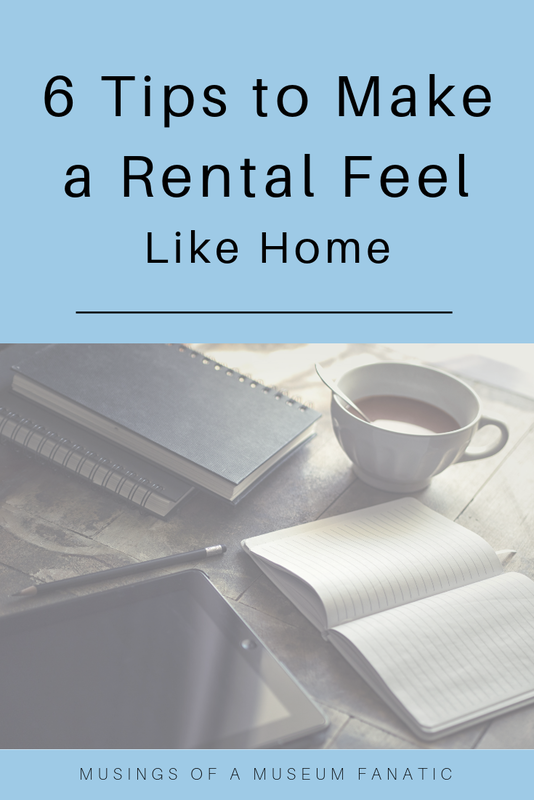 Renting can sometimes feel like you're in a hotel like you're not actually in a home ... your home. To combat that feeling there are definitely things that can be done. Kevin and I are have been renting our current place for a little over three years now and we've taken certain steps to make it feel more like our home and not that this is just a temporary place to fill with our stuff. I've got some tips on how we've made a rental feel more like a home. Do you rent? What are some things that you do to make it feel more like a home? This is definitely something that should only be done with approval of your landlord! If you've got the go ahead to paint the place go for it! This can make a huge difference especially if you're in an apartment complex type of place where everything tends to usually be a sterile white. Don't want to paint an entire wall or want to give it some more personality look into stenciling. There are so many trendy stencils these days you can really find something unique. In our old condo we did an entire wall pattern but you can also find ones to go just around the top. These types are great if you have cabinets that don't go to the ceiling or that bump out in other rooms. Add plants fake or real can really liven up a space. We enjoyed finding a lovely balcony basket. Our balcony faces west so we always enjoy sunsets so the basket really adds to the ambiance, we even had some feathered friends the last few years make their home in it. Don't have an outside space you can totally bring the green indoors. You can even get these great indoor set ups with lights for a little indoor herb garden all year long. You might still be in college hand me down furniture but there is no need to keep it that way if you're able to upgrade. If you have the funds it can be a great way to upgrade your temporary digs. After Kevin and I got married investing in a great couch and love seat set made a huge difference in our living room. We invested in La-Z-Boy pieces because that what we love and it was worth the investment for us. Maybe you're ready to upgrade your bed frame that includes a stellar headboard or even investing in an amazing mattress. This is probably the easiest way to add homey feelings to a rental. A lot of places are cool with you nailing stuff into the wall but if they're not you can always go a temporary route. Command strips are the perfect way if you have to stay really temporary with your wall hangings. After moving into out new place we took our picture hanging to a new level and tried out some gallery type of looks on a few of our walls. These groupings of photos and other neat wall art pieces give the walls a great look. If you can't add color through painting the wall there are plenty of other ways to bring it into your rental. We've added color through some of our storage bins. Since our closets are pretty open we needed storage bins to make the one long shelf that runs the length more usable. We thought investing in some colorful bins that would hold things like my purses and scarves would maximize the space and add color. Add colors in other areas of the apartment too. Another simple and potentially cheap way to jazz up a rental is with the use of rugs. If you're in an older city like Chicago you'll find lots of older buildings with hardwood floors. Rugs are perfect not only for a more homey feel but also to add warmth to a room.